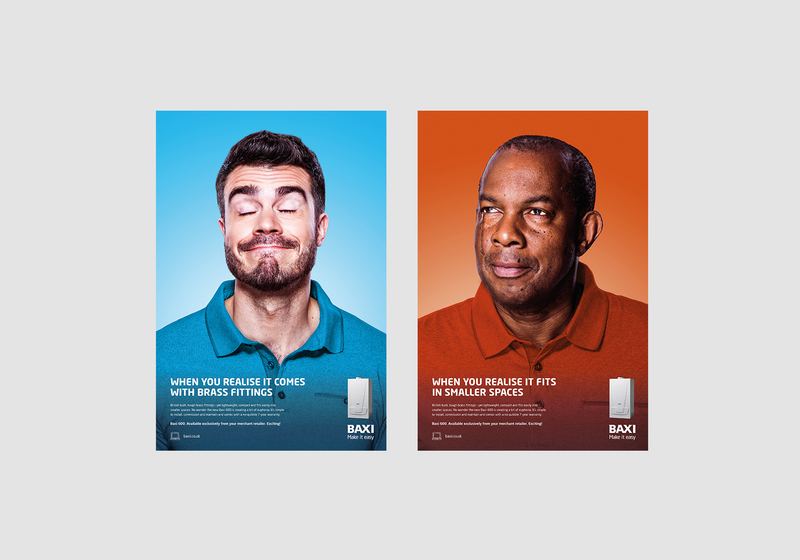 Designed with the installer in mind, the new Baxi 600 Combi boiler is compact, powerful, light in weight and features robust brass fittings – so all we needed to do was to spread the word. With the installer audience as our focus, insight told us that once they were able to get their hands on the product and realised these desirable new benefits – they would love it. So, rather than telling installers how they should feel, we decided to show them. Focusing on a specific product benefit in each ad, we would let the pictures do the talking, without needing 1,000 words to sum them up. Using a colourful, high contrast ‘hyper-real’ photography style, we created images which drew attention to the featured installers and their expressions, using light-hearted, tongue-in-cheek headlines to communicate the benefits. 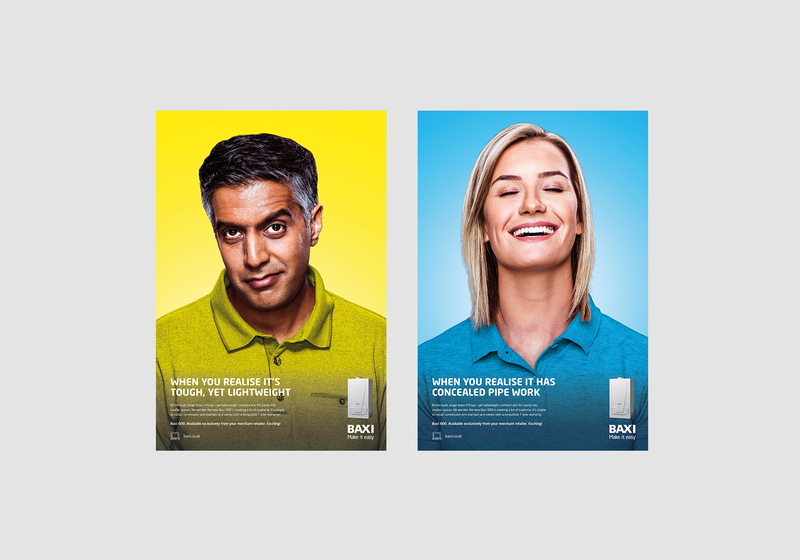 The campaign introduced a unique, identifiable style to Baxi’s communications, whilst its success encouraged Baxi to roll out a video of the concept, showing installers in a state of realisation euphoria, and will join other collateral on social media and the Baxi website.